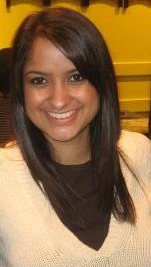 Dr. Khare graduated from the direct dentistry program at the University of Illinois at Chicago in 2011. She grew up in the nearby town of Naperville. Dr. Khare has a real passion for the dental profession. She keeps up-to-date with the newest developments and technologies by taking continuing education courses and attending dental forums. She is a member of the American Dental Association, the Chicago Dental Society, and American Academy of General Dentistry. Dr. Khare focuses on comprehensive oral care while keeping all her patients’ desires and needs in mind. When she isn’t working at Aurora Dentrix, Dr. Khare likes to spend time with her family and friends.